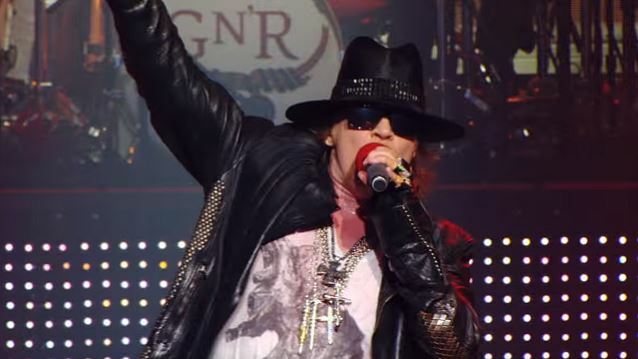 GUNS N’ ROSES Tour To Expand Beyond U.S. THE CULT guitarist Billy Duffy has revealed to Vanyaland that his band will share the stage with the reunited GUNS N’ ROSES in the coming months. And while Duffy didn’t elaborate, he did say the dates wouldn’t be taking place in the U.S. GUNS N’ ROSES is rumored to be playing an intimate warm-up show on Friday (April 1) at the Troubadour, one of the Los Angeles clubs where the band first played before the release of its debut album, 1987’s “Appetite For Destruction”. More information is expected by Friday morning, at which point a limited number of tickets will go on sale to the general public. With the first GUNS N’ ROSES reunion show scheduled for just over a week from now, on April 8 in Las Vegas, the band has still not officially announced the lineup of musicians who will take the stage beyond singer Axl Rose, guitarist Slash and bassist Duff McKagan. But a new photo posted at the group’s official Twitter account has sent fans into a frenzy. The picture of Ahead brand drumsticks fueled speculation that original drummer Steven Adler was returning to the group, especially after past and present GUNS drummers Matt Sorum and Frank Ferrer both denied they used the sticks. According to The Pulse Of Radio, fans first approached Sorum on Twitter, with the one-time GUNS drummer confirming that he used Ahead sticks from 1991 to 1993 but did not currently use them. Ferrer also responded to the image, saying the Ahead ones weren’t his and that he used Vater sticks. That left Adler, who has remained silent about the GUNS reunion since it was announced and also did not comment on the photo of the sticks. Adler, like Sorum, has used Ahead sticks in the past but not recently. Recent reports have suggested that Ferrer, who has been in the GUNS lineup since 2006, will play the bulk of the show at the band’s upcoming dates, although Adler could appear as a special guest. GUNS N’ ROSES has six shows scheduled in April: two in Las Vegas, two in Mexico City and two at the Coachella Music And Arts Festival in Indio, California. The band has also announced the cities for a 21-show North American tour, although dates and venues have yet to be confirmed. MOTÖRHEAD‘s November 20 and November 21, 2015 concerts at the Zenith in Munich, Germany were professionally filmed and recorded for release this May via UDR. 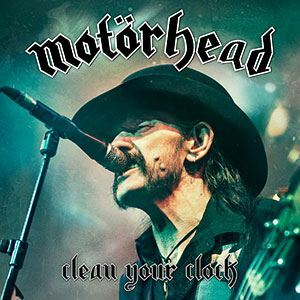 “Clean Your Clock” will be made available on May 27. MOTÖRHEAD‘s final concert took place on December 11, 2015 in Berlin, Germany. Despite suffering from an “extremely aggressive” form of cancer, the band’s frontman, Ian “Lemmy” Kilmister battled his way through to the end of the group’s European tour. MOTÖRHEAD‘s Berlin concert was originally scheduled to take place on November 27, but was postponed after the group’s guitarist, Phil Campbell, was taken ill.
Lemmy, who celebrated his 70th birthday on Christmas Eve (December 24), learned two days later, on December 26, that he was afflicted with an aggressive form of cancer. He died two days later, on December 28, at his home in Los Angeles. The band was forced to cancel or postpone a number of shows this year due to Lemmy‘s poor health, which also forced him to cut back on his drinking and give up smoking. The musicians will perform acoustic sets with true once-in-a-lifetime musical moments, collaborations and more. Tickets will go on sale beginning April 1 at 10:00 a.m. via LiveNation.com. Tickets will not be available at The Fillmore box office, charge by phone or outlets. There is a two-ticket limit per customer. Tickets are priced as follows: $135 each for general admission. A very limited amount of VIP will be available at $500 each. VIP tickets include: access to an exclusive VIP area to view the concert and mingle with the select artists, an Acoustic-4-A-Cure gift bag, complimentary food and drinks, and more. All proceeds from the concert will be donated to fund children’s brain tumor research at UCSF Benioff Children’s Hospital, one of the nation’s leading children’s medical facilities. “Acoustic-4-A-Cure” was created by Bay Area rock legends Sammy Hagar and James Hetfield, whose vision was to raise needed funds and awareness for the Pediatric Cancer Program at UCSF by bringing together some of their legendary friends and throwing a must-see concert for fans. 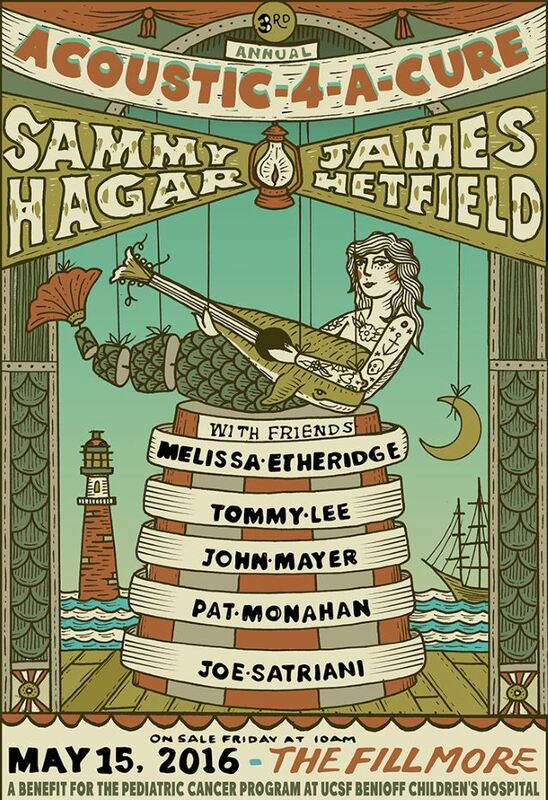 In past years, artists including Billie Joe Armstrong, Jerry Cantrell, Pat Monahan, Linda Perry, Chad Smith, Adam Sandler, Joe Satriani, Nancy Wilson, and more have joined Hagar and Hetfield to rock the sold-out benefit concerts. Highlights from 2015 included a surprise appearance from Adam Sandler who performed “Ramble On” and “Dream On” alongside Monahan, Satriani and Smith; Cantrell, Smith and Hetfield joined together for METALLICA‘s power ballad “Mama Said”; Hetfield accompanied his daughter Cali, who wowed the audience with her performance of Adele‘s “Crazy For You”; and Satriani and Perry got the crowd rocking with “Communication Breakdown”. 2014 highlights included Hetfield‘s acoustic rendition of THE BEATLES‘ “In My Life”; Billie Joe Armstrong, Hetfield and Satriani bringing the house down with a medley of Bob Seger‘s “Turn The Page” and “Boulevard Of Broken Dreams”; and the Hagar promised “only-in-San Francisco moment” when Hetfield, Armstrong, Satriani, Monahan and Nancy Wilson joined him on stage for an all-star jam of Bob Dylan‘s “Rainy Day Women #12 & 35” to close the show. 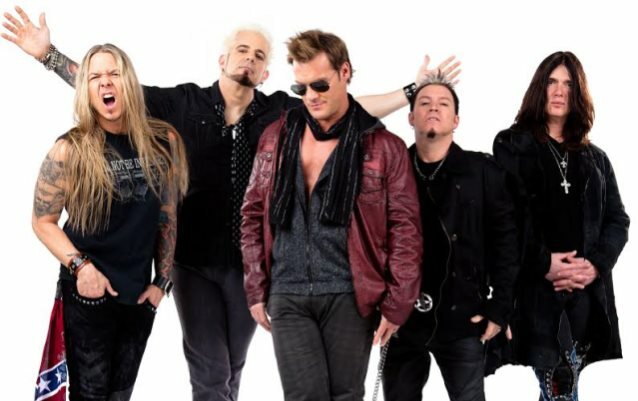 FOZZY — the band featuring WWE wrestling superstar Chris Jericho alongside members of STUCK MOJO — is working on material for the follow-up to its 2014 album “Do You Wanna Start A War”. Jericho will next perform several East Coast shows with METAL ALLEGIANCE, the all-star metal band consisting of a rotating cast of musicians, including members of TESTAMENT, MEGADETH and DEATH ANGEL. UNLOCKING THE TRUTH — the heavy metal band from Flatbush, Brooklyn made up of three African-American boys, guitarist/vocalist Malcolm Brickhouse, bassist Alec Atkins and drummer Jarad Dawkins — will release its full-length debut album, “Chaos”, on June 17 via premier independent music distributor Tunecore. The set was produced by Johnny K (MEGADETH, POP EVIL, DISTURBED) and captures the young band’s explosive live energy, resulting in a tight, powerfully heavy yet melodic full-length offering. 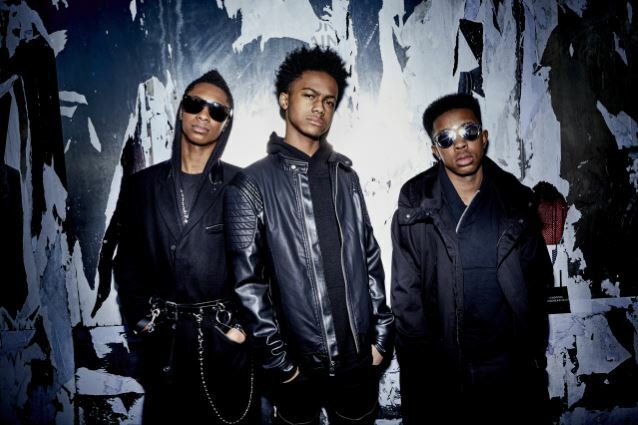 As part of its guaranteed two-album deal with Sony, UNLOCKING THE TRUTH was reportedly due to receive $60,000 to record the first disc and possibly as much as $325,000 for the second CD. Sony reportedly had an option to release a total of five albums from UNLOCKING THE TRUTH that could have pushed the label’s financial investment to around $1.8 million ($325,000 for the second album, $400,000 for the third, $450,000 for the fourth and $550,000 for the fifth). It should be noted, however, that the band was only supposed to see the real money after an initial $60,000 advance if their debut album sold more than 250,000 copies, a prospect that seemed highly unlikely in an age of diminishing record sales. Luke Meyer, the director of “Breaking A Monster”, a documentary about the band’s rise to success, told The Daily Beast: “The $1.8 million is what happens if you add up all their advances for five records, and it increases in amount with each successive album. The members of UNLOCKING THE TRUTH famously got permission from a New York judge in July 2014 to sign the Sony deal. The musicians needed the judge’s approval because they were minors. UNLOCKING THE TRUTH has already played the Coachella festival and has supported GUNS N’ ROSES. In addition, the band has appeared in a national ad campaign for Verizon Wireless. 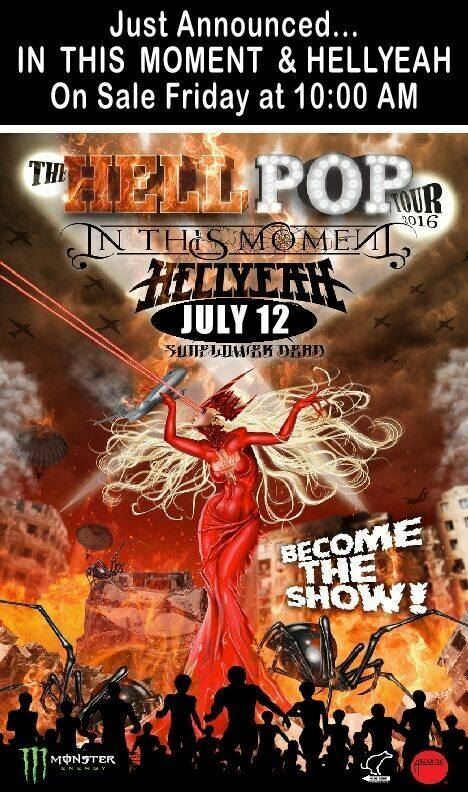 IN THIS MOMENT, HELLYEAH, SHAMAN’S HARVEST and SUNFLOWER DEAD will join forces for “The Hellpop Tour 2016”. Tickets will go on sale this Friday, April 1 at 10 a.m. EST. IN THIS MOMENT will be the special guest on this summer’s ROB ZOMBIE and KORN co-headlining amphitheater tour, dubbed “Return Of The Dreads”. The trek will kick off in July and will visit 25 North American cities, including Austin, Los Angeles, San Francisco, Toronto, Seattle, Las Vegas and more. HELLYEAH will embark on the “We’re All In This Together Tour 2016” in late April. Support on the trek will come from ESCAPE THE FATE, NEW YEARS DAY and FROM ASHES TO NEW. The 18-date tour across the U.S. will kick off on May 2 in Baltimore, Maryland and end June 5 in Las Vegas, Nevada. HELLYEAH has released a lyric video for “Human”, the first new track from the band’s forthcoming fifth album, due out later this year. The CD was recorded atThe Hideout Recording Studio in Las Vegas, Nevada with producer Kevin Churko, who previously worked with HELLYEAH on 2014’s “Blood For Blood”. 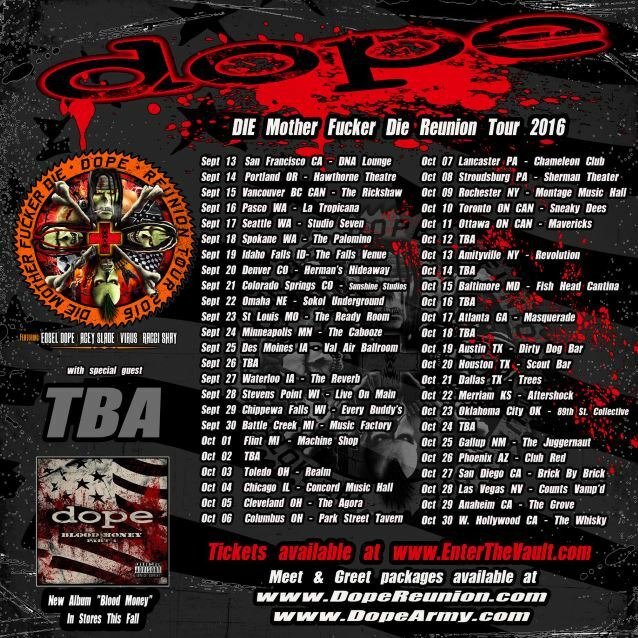 DOPE has announced the dates for its “Die Mother Fucker Die” U.S. reunion tour which will feature the band’s classic lineup of Edsel Dope, Acey Slade, Virus and Racci Shay. This U.S. leg of the tour was successfully crowdfunded by the pre-order of the band’s first-ever live album on DopeReunion.com. DOPE‘s ultimate goal through their ongoing crowdfunding campaign is to take the reunion tour around the entire globe in 2016. In addition to the live album, the band plans to film the entire tour, with the intention of creating DOPE‘s first-ever live DVD. The DVD will also include tons of classic backstage footage, unreleased music videos, as well as various, never-before-seen clips spanning the bands entire career.